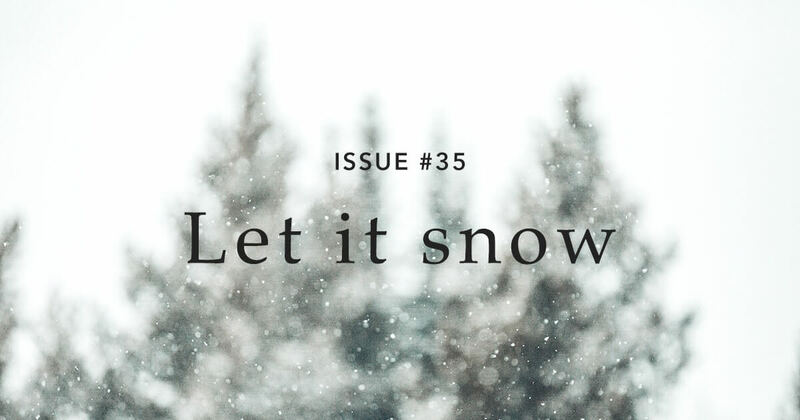 In this month’s issue we explore the theme LET IT SNOW. LET IT SNOW – a blank slate, new resolutions, a time to breathe and take stock – just some of the thoughts from our contributors this month. How to access this issue? Not clear.